Georgina Wakefield wrote this book immediately after completing her first book ‘Schizophrenia A Mother’s Story’ which charts her youngest sons19 year battle with Paranoid Schizophrenia. The book consists of 61 [her age] “Glimpses Of Life”. Like life sometimes tragic, sometimes funny Georgina feels that the short stories fit in with the pace of life today. We often complain that we don’t have time to read but this book could be read on a train journey hence The Commuters Companion. Georgina Wakefield was born in Chelmsford Essex, 1947, she has suffered from anxiety based manic depression for the best part of her adult life, she is also a carer to her youngest son Christian aged 36, Christian developed Schizophrenia at the age of 16. Her passion lies in writing and using her books and 8 films that the family have taken part in to deliver “The Carer’s Perspective”. She works for several NHS Trusts and Universities, and was recently given Honorary Lecturer status at the Institute Of Psychiatry . 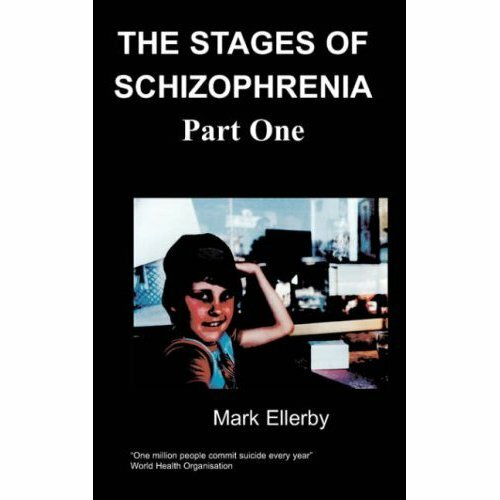 I wrote this book immediately after completing my first book ‘Schizophrenia: A Mother’s Story’ which charts my youngest son's 19 year battle with Paranoid Schizophrenia. His journey began when he was 16 years old or thereabouts. The book charts the journey that his family was forced to take in order to support him. Writing about our experiences was extremely cathartic and it’s helped me no end. Almost two decades on Christian now has a far better quality of life. He lives independently, works part time and he also employs a Personal Assistant through the Government Direct Payment scheme. Following 7 very difficult years Christian relapsed at the age of 23, and was admitted to hospital. I went out shopping for some toiletries for him. I was feeling dreadful, and when I parked the car I took up 2 spaces because I couldn’t think straight. A young man started shouting at me, he was telling me how useless I was and that I shouldn’t be allowed to drive a car. He became extremely abusive (even though there were plenty of other parking spaces). I can remember thinking, if only you knew how I feel and what is going on in my life at the moment. This book hopefully highlights the fact that life can be very hard for us sometimes. For the past 10 years I have worked in Mental Health, providing presentations to professionals which I believe helps to deepen their understanding of the Carer’s perspective. I use poetry from my books, simply because poetry condenses what we're saying and makes it far more powerful. I soon realised that by using poetry I could tell the story in a fraction of the time that it would take to explain it in prose. Due to the pace of life these days we never seem to have the time to read books; this one could be read on a train journey. The book consists of 61 short stories about the continual ups and downs of life. I decided to write 61 because I am 61 and hopefully I have learned things about life as it’s gone on. Life as we all know can be funny, but it can also be very sad; the book is about many problems that we human beings have to deal with, some of which you yourself will have come across. Those of you with a good memory will recognise characters from previous stories as you're reading the book. ‘Glimpses Of Life’ is mainly fictional, but some parts are based on fact, for instance my sister's story ‘Side By Side’; also some of my own experiences pop up now and then. People who know me will possibly recognise themselves occasionally too; you have been warned. Have you ever stood in a Supermarket queue bored to death? What a silly question, of course you have. One day I was extremely bored, I started to people-watch, thinking, I wonder what he does for a living? I wonder where they like to eat out? Have they got kids? Are they happy together? Do they wish they could break away from each other? God, I thought, we are all so very different; people can be pleasant but some are unpleasant, some are cheerful, others are miserable, some are optimists, some are pessimists. Some have a good marriage, others? Disastrous. Some people do really meaningful jobs, others very boring, and on top of that we all differ in our opinions on so many things. We also have to deal with so many different situations, some good, some bad. Some have probably been through really traumatic experiences - bereavement, divorce - whilst others remain virtually untouched by life's hardships and tragedies. As I studied them I began to make up fictional stories about them and this book is result.